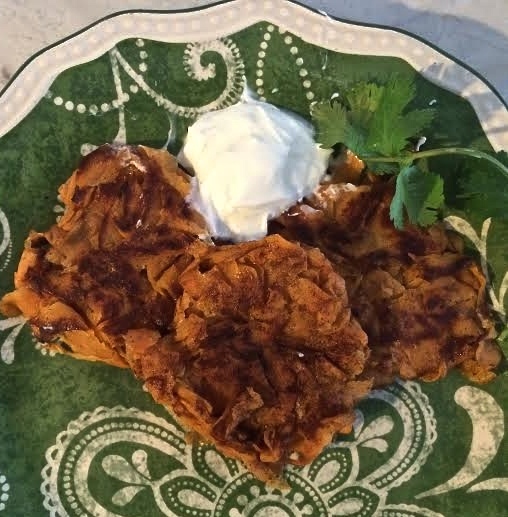 Savory, and melt-in-your mouth delicious, these sweet potato latkes are delicious when combined with cinnamon and brown sugar. This is a great alternatives to the traditional potato latke for Hanukkah – and the best part is that I had all of the ingredients in the house so I didn’t have to buy anything! 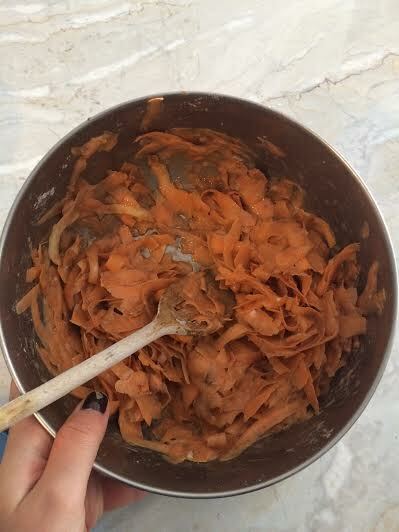 In a large bowl, combine sweet potatoes, eggs, brown sugar, flour, and cinnamon; mix well. Heat oil in large heavy skillet to 375 degrees F (190 degrees C). Form mixture into small pancake size cakes, and fry in hot oil. Flip cakes after 5 minutes (when bottom is browned) and brown other side. Drain on paper towels, and serve when hot! These can be served with plain Greek yogurt or applesauce. This recipe will make about 8-10 latkes, depending on size, and in my case, how much experience you have making these delicious fried treats! This recipe is inspired by: AllRecipes and received a 4-star rating and 36 reviews. Enjoy and Happy Hanukkah! What is your favorite latke recipe?